Perhaps this photos sums up my activities since my last post. Life has been a bit like wading through treacle for a long time. But hopefully, things are on the up now and even if sun-robbing winter is on its way. No home made Halloween outfit for the party this year. 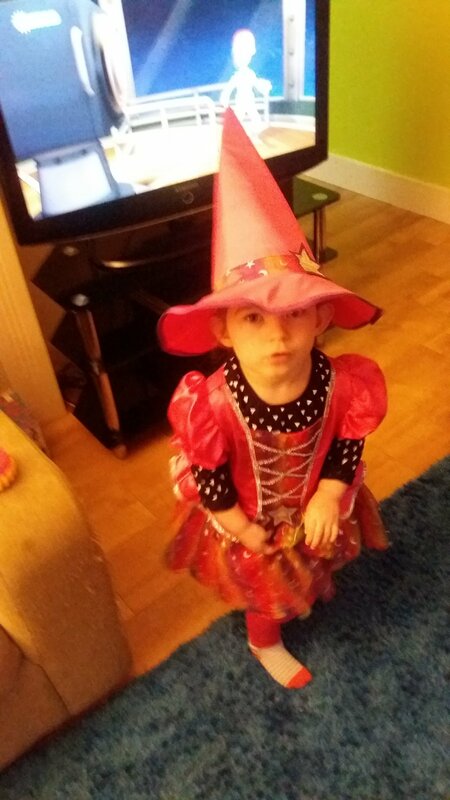 A flammable witches outfit for a tenner instead. Sorry sweatshop workers, I’ll try harder next year. Sewing was a huge mega passion for so long it was really hard when I lost all interest in it. But thank goodness, the love is returning! I haven’t been disciplined enough to take photos yet, but I’ve made a #rosashirtdress from Tilly and the Buttons. I’m really pleased with it. I made it a touch too small up top, but actually it looks nice slightly open with a t-shirt underneath. Trouble is its needs ironing so i don’t wear it as often as I could. In half term I rustled up a t-shirt dress from a magazine free pattern. I even used the overlocker! It’s lovely, but a touch out of season. I plan to make more of both patterns though. I also made this advent calendar from John Lewis. My first attempt at anything “crafty” and it even had wadding inside. It made me actually think about making a quilt – and that’s a sewing path I never thought I’d travel down. Quite unusual to have a project like this finished in the same year that it was started, so now I just need to remember to get it out of the cupboard in a couple of weeks time. 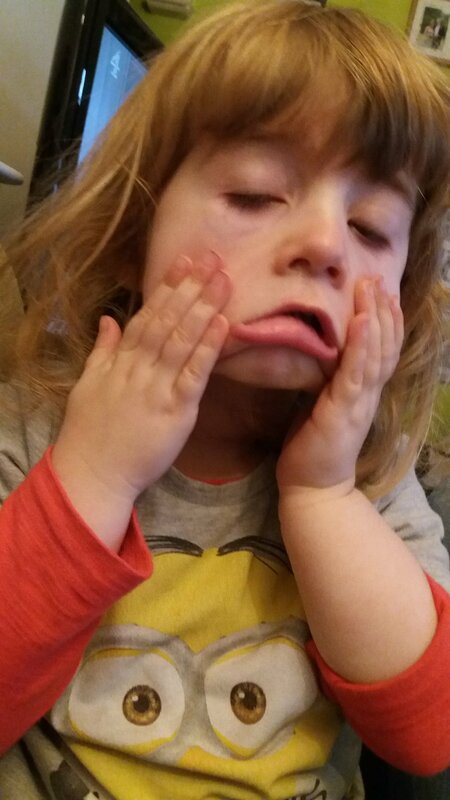 Goodness, I suppose I better get cracking on a Christmas dress for the littlun. Life ebbs and flows sometimes – busyness always seems to knock my creativity into touch! 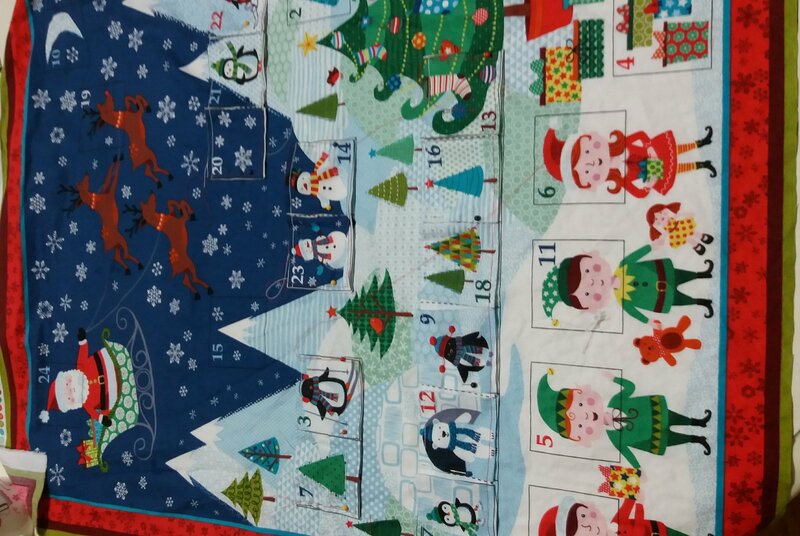 With little ones I am amazed that you found the time to sew two items and advent calendar! The outfit looks great, and that is what matters better to have a mum who buys from a shop than a stressed out mum trying to live up to unrealistic expectations! be kind to yourself! your sewing mojo will soon return! Its not easy being a mum, but from the happy faces, you are doing a great job! Thank you, yes I think ive turned a corner now and the mojo is returning 😊 It’s hard to ignore the mum guilt – but shes a little joy and is pretty happy most of the time. As long as she controls the TV remote that is!